Friday fun poll: ever carry something really cumbersome on transit? 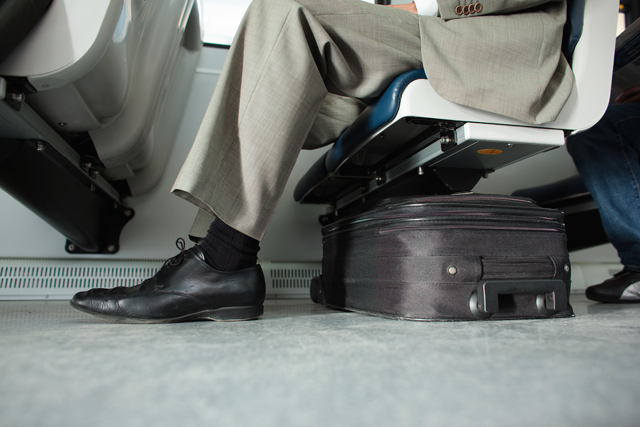 A suitcase can be stowed under a seat on the Canada Line. It’s the first fun poll of 2011! And we’re going back to our roots with a transit behaviour question. As we’ve just passed through the holiday season, I’ve seen many a customer having to haul luggage or giant gifts on the bus or train, while trying in vain to stay out of people’s way. So, all double entendres aside—have you ever had to lug something big and awkward on transit for a ride?